Bill Gates famously said that he would spend his last dollar on public relations. PR is so valuable because it’s a chance to communicate with potential customers while leveraging third-party endorsement of your expertise. 1. What exactly is PR? 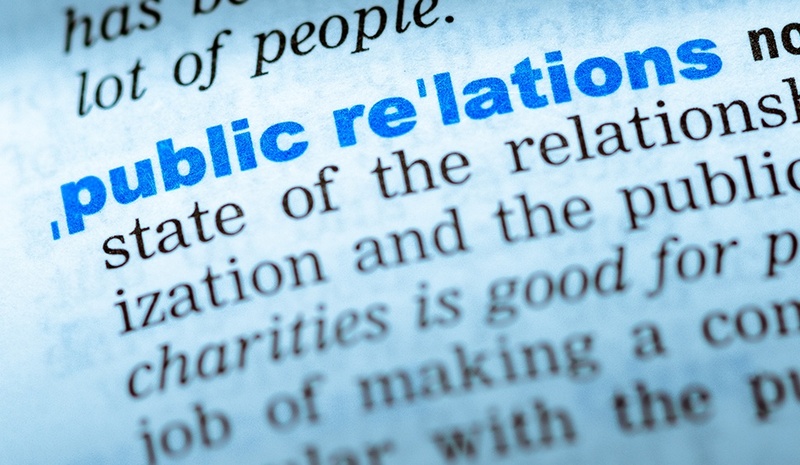 Contrary to common belief, PR stands for public relations, not press release. PR encompasses a wide range of tactics – it can be a cost-effective way to help build awareness, attract new customers and investors and increase revenue. Anything that involves promoting your expertise via a third party falls under the PR umbrella. A press release is one of many PR tools you can use to build your reputation. Other PR tactics include entering awards, participating in and sponsoring events, publishing articles and case studies, engaging on social media, promoting charity work, networking and commenting on industry issues. 2. How does PR actually help grow my business? PR is an effective tool for raising awareness and showcasing your expertise. As an example, one of our clients did a great deal of work with the offshore oil and gas industry. We arranged for a case study to be published in an offshore trade journal. As a result of the article, the client had enquires from companies interested in using the equipment described in the article. The case study had more impact and greater reach because it appeared in a respected publication that customers read as a matter of course. In another instance, we built a relationship with a gardening blogger on behalf of a client that sells bird feeders. The blog post was read by a journalist on a BBC gardening show, who then featured the feeder. The feeder sold out in days. 3. I’m only a small business. Will I get value for money out of PR? It’s a common misconception that PR is only for big companies with big marketing budgets. Positive media coverage is an extremely cost-effective way to boost your reputation as a leader in your field. Because you aren’t paying for your column inches, it costs far less than advertising on the whole. And the benefits can be much greater: just one article in a target publication can lead to a substantial increase in leads. The key for SMEs is to focus on the key publications your customers read. PR doesn’t have to involve spending hours securing an interview on BBC Breakfast if a solid case study in an industry magazine will make more of an impact with your customers. 4. How are PR and advertising different? PR and advertising are two sides of the same coin. The difference is that you don’t pay the magazine for positive PR – it’s impartial endorsement of your expertise. Advertising is excellent for selling directly – it’s a hard-hitting way to promote your products and services, and readers know that you’re paying for it. PR is focused on enhancing your reputation. By having feature articles appear in trade magazines or supplying commentary on industry issues, your customers come to view you as a thought leader. As a leader you then become a more credible business partner. 5. The web is increasingly important, and printed magazines and newspapers are struggling. Is PR becoming irrelevant? No, not at all. Your customers still rely on publications to stay up to date with what’s going on in the world and in their industry. Only instead of subscribing to a printed magazine or newspaper they are reading stories online and getting email digests of online stories. This means that third party media still provide a valuable way of communicating with your customers, boosting awareness of your company and strengthening your reputation. In fact, current trends show that companies are placing more emphasis on intangibles such as brand and reputation, in part because people have access to so much more information thanks to the internet. To be competitive you have to be part of this information exchange, and this means that PR is more important than ever before. 6. When should I outsource my PR? Ask yourself the following questions: How comfortable are you writing your own press releases and feature stories? Do you know where to send them? What would you say to a journalist in a crisis? If you’re unsure about any of the answers you’ll get value out of outsourcing your PR. To achieve results with PR it has to be a sustained effort, which means you need to develop working relationships with key journalists. This takes time and skill, because you have to have an in-depth understanding of their mindset, processes and readership. Using the service of PR professionals pays dividends in the long term – not only do they have the skills, but they have extensive media contacts so you can hit the ground running with targeting the right journalists, with the right information, at the right time. Have basic questions about marketing? We’ve been helping SMEs with marketing for more than 10 years, and have decades of experience across our team. In our Ask Me Anything series, Cognition’s experts answer common questions our clients have posed over the years. Have you ever stopped to consider what makes market leaders more successful than their competitors? Yes, of course it’s because they’re more successful..